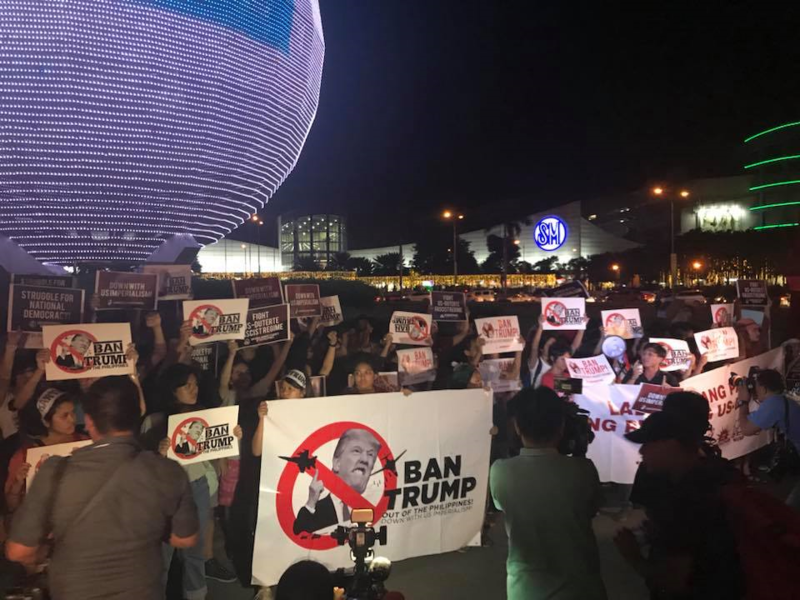 MANILA — Progressive groups conducted several rallies on Nov. 12, in time for the arrival in the country of United States President Donald Trump and other state leaders attending the Association of South East Asian Nations (ASEAN) summit which starts tomorrow. 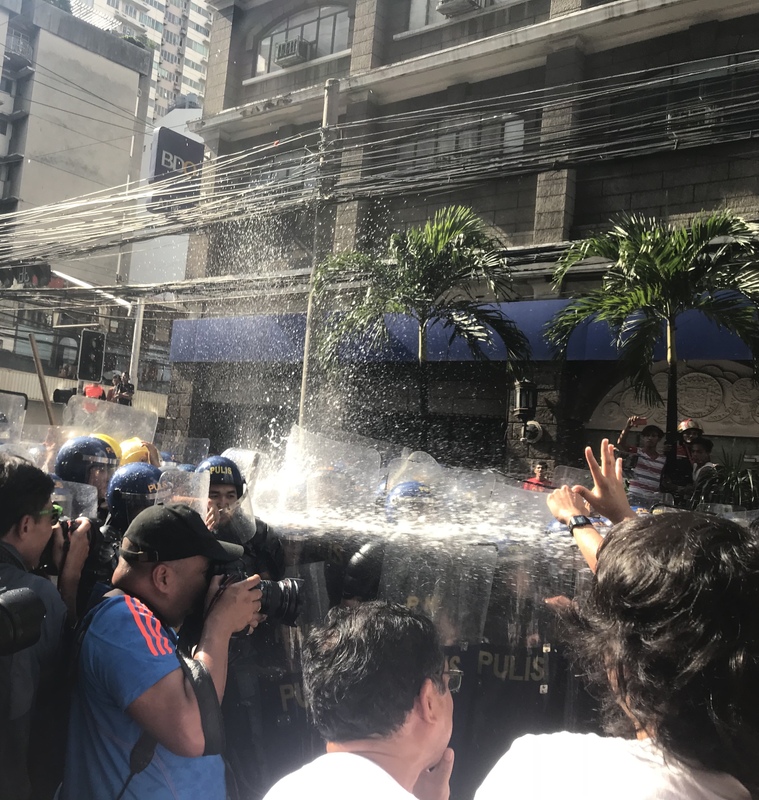 In Manila, protesters led by Bagong Alyansang Makabayan (BAYAN) were blocked by several battalions of anti-riot police even as they took side streets in an attempt to get near the US embassy. In one area, a group of protesters led by the youth clashed with police men who attempted to disperse with a water cannon. At least 20 were hurt as the police used their truncheons, but none fatally injured. The rallyists proceeded to hold their program near Plaza Ferguson, a few meters away from the US embassy. Neil Legaspi, a paralegal who was driving the van of human rights group Karapatan, was arrested and brought to the Manila Police District. There is no update on his situation as of press time. 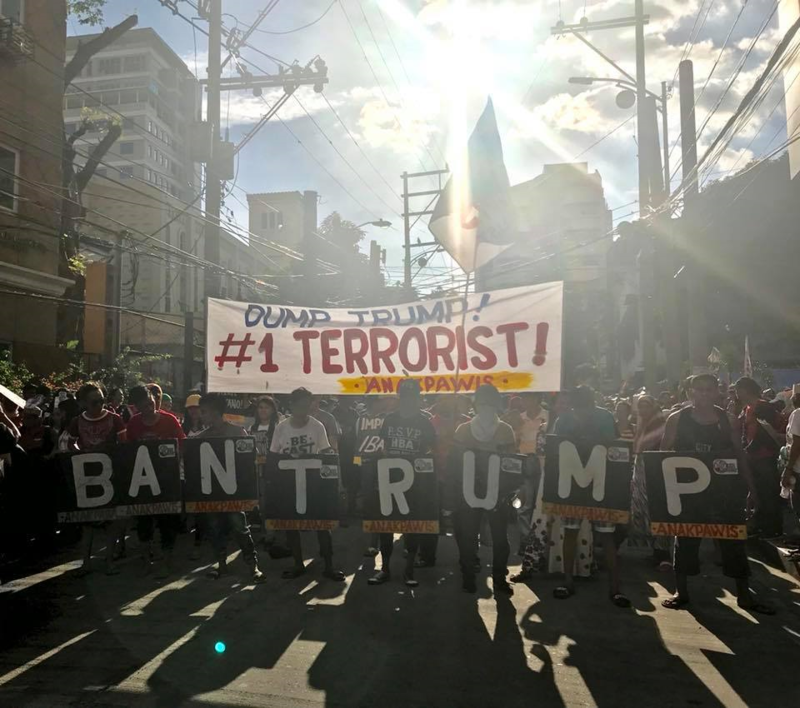 “Our country would be better off without Trump’s visit because aside from pushing and supporting for more military actions in the Philippines, like more airstrikes especially in Mindanao, he is also engaged in rabid saber-rattling in the Korean Peninsula that would have terrible effects in the Philippines if war breaks out,” Bayan Muna Representative Carlos Zarate said in a statement. 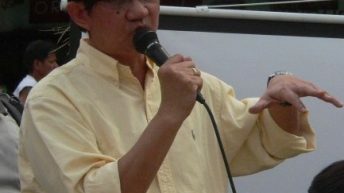 Anakpawis Partylist Representative Ariel Casilao also condemned neoliberal policies and a plan to increase rice importation in the Philippines. 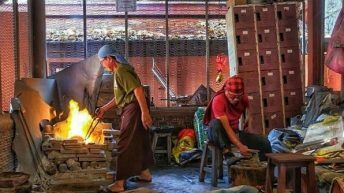 He also warned against further liberalization of the economy, which will lead to a greater number of irregular and contractual workers with low wages. Heightened military intervention and aid also result to greater human rights violations and more intensive counterinsurgency programs. 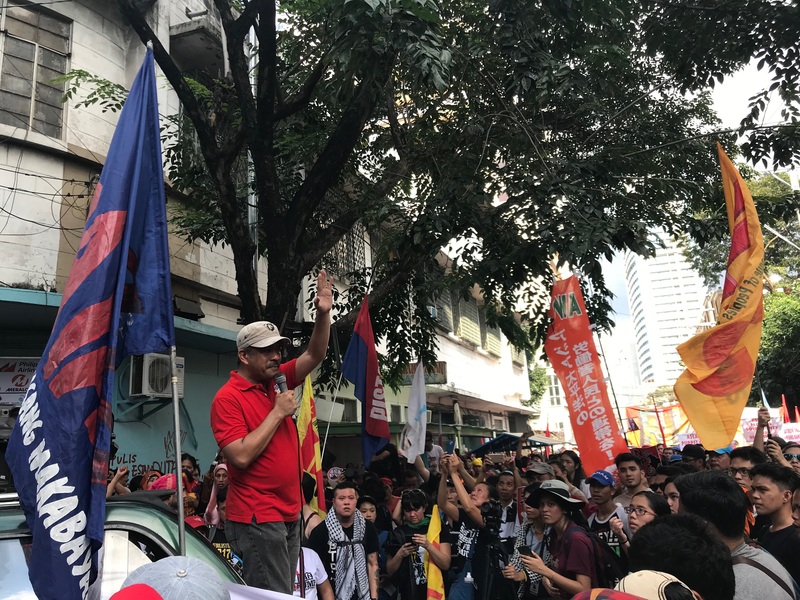 “The neoliberal pillars of ASEAN, such as deregulation and privatization are historically proven to throw Filipino poor to inescapable cycle of poverty and misery, and at present with US President Trump’s attendance, the world is being pushed to the brink of a nuclear war via his aggressive threats against North Korea ” Casilao added. Simultaneous with the ASEAN summit gala, about 30 members of progressive youth organizations led by Anakbayan conducted a lightning rally in front of the Mall of Asia (MOA) globe in Pasay City. JP Rosos, spokesperson of the League of Filipino Students (LFS), and Representative Sarah Elago of Kabataan Partylist stressed out how world leaders, especially the Philippine government would have the gall to spend billions on the ASEAN summit and the gala while Filipino citizens hardly have any access to basic social services. 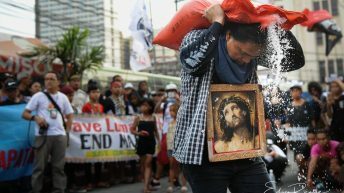 In Mendiola bridge near the Presidential Palace, urban poor group Kadamay led a “homeless dinner” at the camp of demolished residents of the Manggahan Pasig Floodway, in contrast to what they called “lavish” Asean gala dinner. 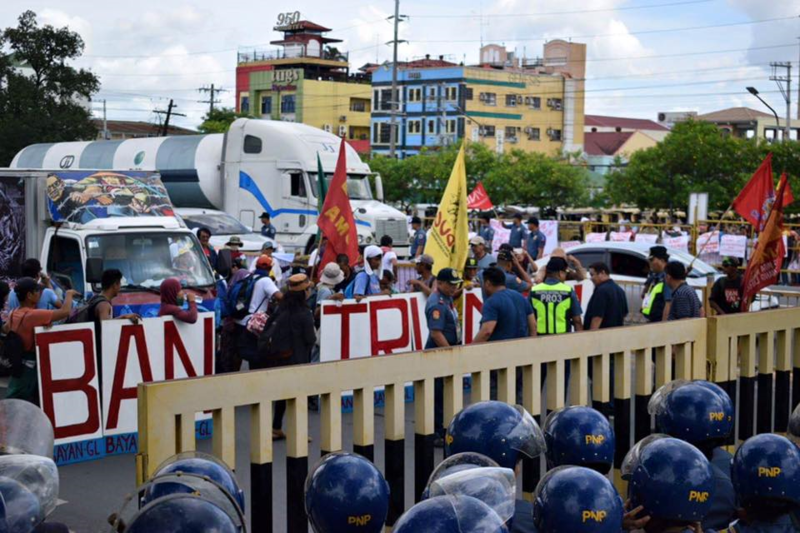 A protest was also held in Angeles, Pampanga before Trump’s arrival in the Clark International Airport. Central Luzon is one of the regions that will be primarily affected by the liberalization of trade in the Philippines, given that it is the “rice capital” of the Philippines, formerly the principal export product of the Philippines. 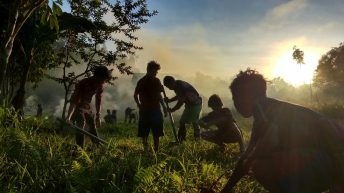 In a statement, BAYAN – Central Luzon cited how neoliberal policies will result in the conversion of agricultural and productive lands into megacities and expressways for commercial and private use. Lands in Pampanga and Clark will also be converted into military bases to be utilized by the armed forces of the United States. “We believe, and we have proof, that the worsening widespread hunger and poverty experienced by our toiling masses is brought by neoliberal policies of imperialist countries, led and controlled by the imperialist United States,” Roman Polintan, chairperson of BAYAN-Central Luzon said. 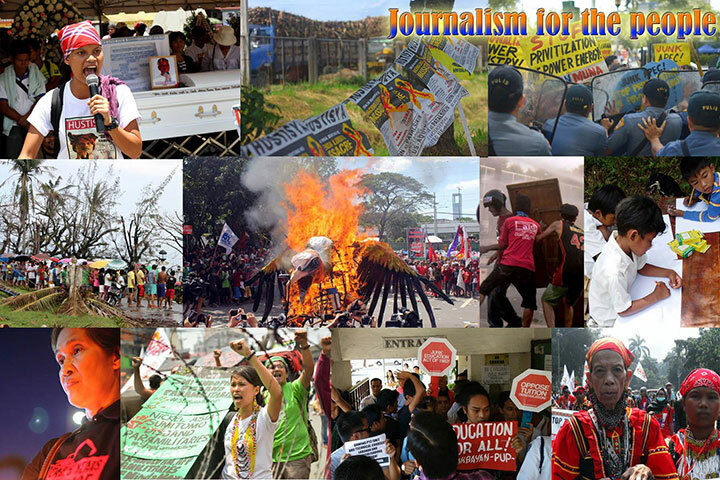 BAYAN calls on the public to join the daily protests to be conducted up to Nov. 14. 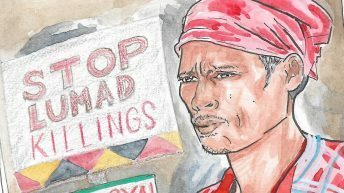 “This brutal macho image that Trump and President Duterte apparently shares and mutually admires is clearly to the detriment of the people in the Philippines, the US, and the world. 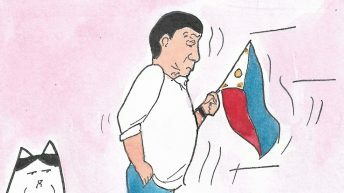 Duterte should stop idolizing and playing puppet to Trump. The peoples’ opposition would further grow and we will hound Trump with continuous protests,” Zarate declared.